Visit our programs page to read through the various programs happening at the Hope Center and around the community to fulfill our mission. The mission of Mobile Hope is to honor God by building a culture of achievement and hope in mobile home communities through education, healthy activities, connection to resources, and faith development. 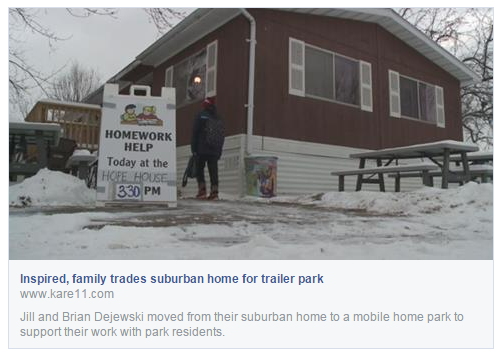 Mobile Hope was highlighted by KARE 11 News, which helps tell the story of making the move to Maple Hill Estates and take this work to the next level. Check out the segment below!